Constructed with durable 1000D nylon webbing, with a detachable & clipable neoprene handle, featuring 4 sewn-in combination light/heavy bungees, the Bungee Leash & Convertible Coupler is the perfect accessory for the Sky Track but also makes a highly versitile leash for one or two dogs. The handle section of the leash, which detaches entirely from the main section can also be unclipped so as to wrap around polls and objects for when you need to pop in somewhere for a quick coffee. 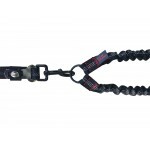 The handle clip can also be attached to any of the other rings found throughout the leash allowing you to wrap around trees and other large objects. The seat-belt clip is especially useful for impatient dogs who like to spring out of the car once the door is ajar. 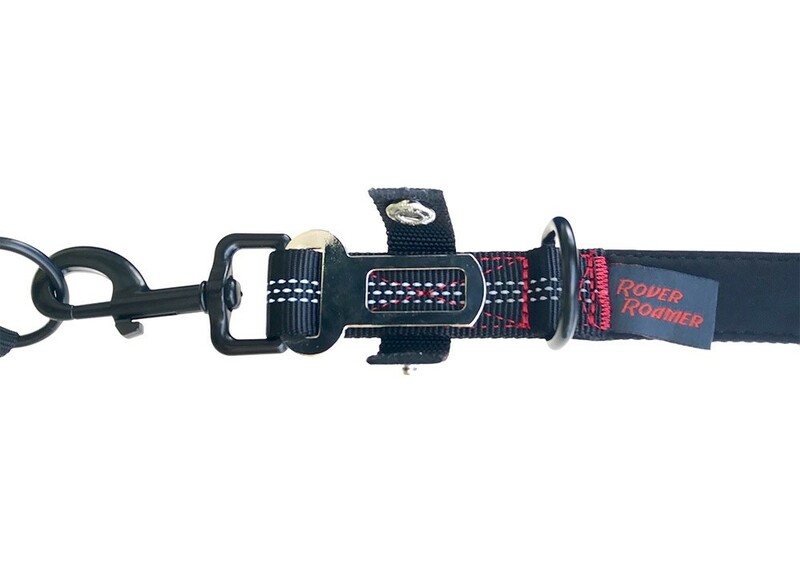 Simply adjust the leash to determine how much freedom you want your dog to have once inside the car and then secure the leash via the standard hardware by clipping it into the middle seat-belt receptor. 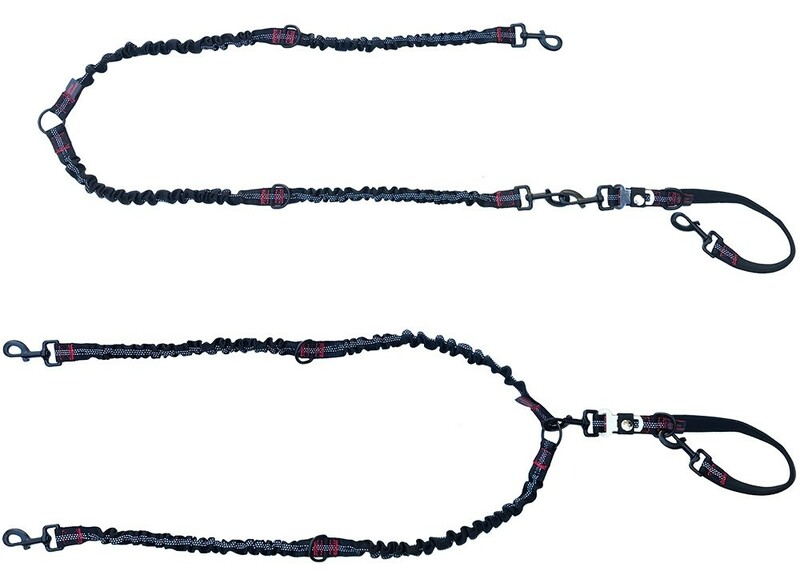 For use as a standard leash for 1 dog: Measuring 6ft 5 inches, the leash stretches to 10ft depending upon the size and strength of the dog. The main leash section features two 5mm bungees for smaller dogs and two 8mm bungees for larger dogs allowing a comfortable stretch for all dog breeds. 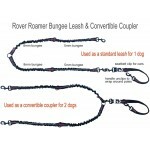 For use as a coupler leash for 2 dogs: The leash converts into a coupler, which allows you to walk two dogs on one leash. Simply detach the handle section from the main leash section and clip it onto the O-ring found in the middle. The two ends of the main section will clip to each dog. Because the handle section unclips, you can still wrap the handle around polls, thus securing the pets when necessary. 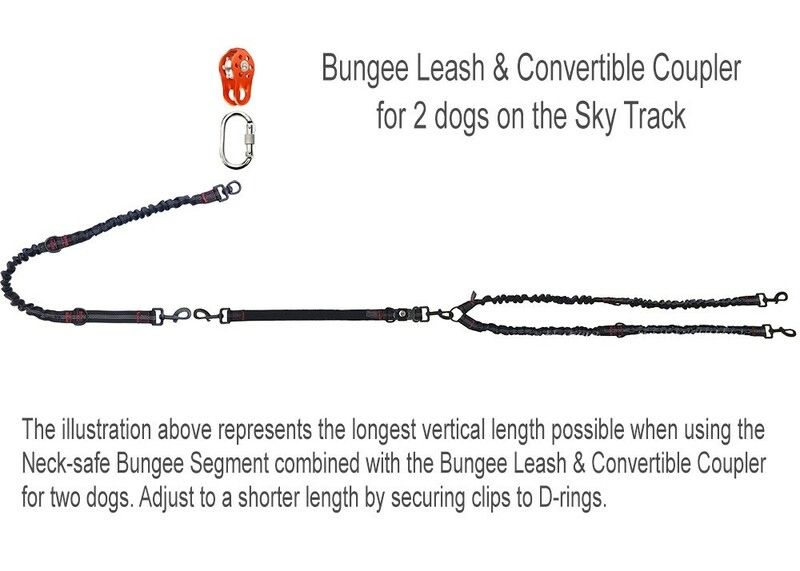 For use with 1 dog on the Sky Track: The main section of the leash has one extra-large dog clip on each end and contains an O-ring and two D-rings, allowing vertical adjustment on the Sky Track. 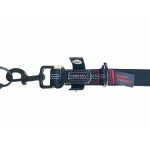 Simply attach one end of the leash to the carabiner/pulley section and the other end to the dog. Adjust accordingly so that the leash just touches the ground. Use with or without the handle section depending upon line height. 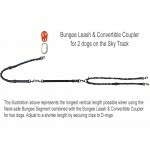 For use with 2 dogs on the Sky Track: Give your pups some playtime together by placing them both on the Sky Track together. They can interract without getting tangled up. Attach the handle section unclipped to the carabiner/pulley, then attach the other end to the O-ring. Make sure the dog clips of the main leash section can touch the ground. If they do not, use the Neck-Safe Bungee Section that comes with each Sky Track and Cable Run to increase the vertical length. 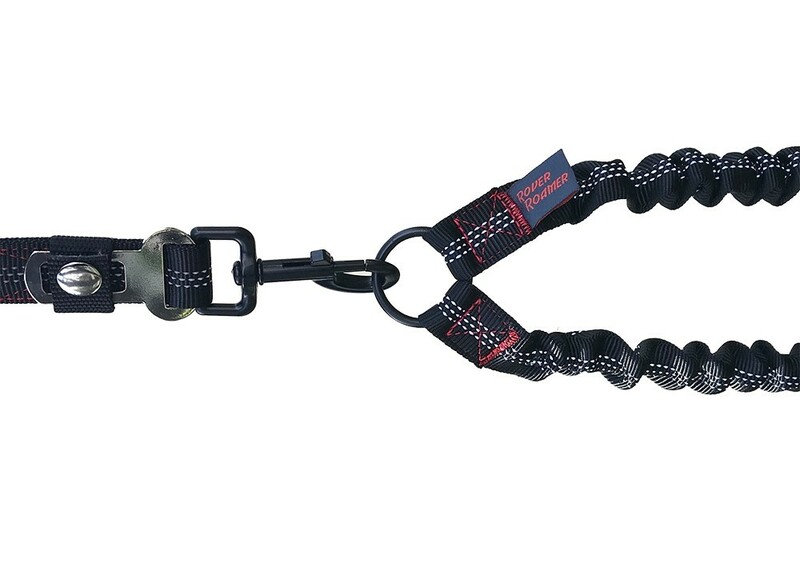 Once you have set up the line and have attached the pulley and carabiner, it's time to adjust the length of the bungee leash. Observe your dog on the system and re-adjust accordingly. You always want the end of the dog leash to at least be able to touch the ground. This allows your dog to lie down comfortably. 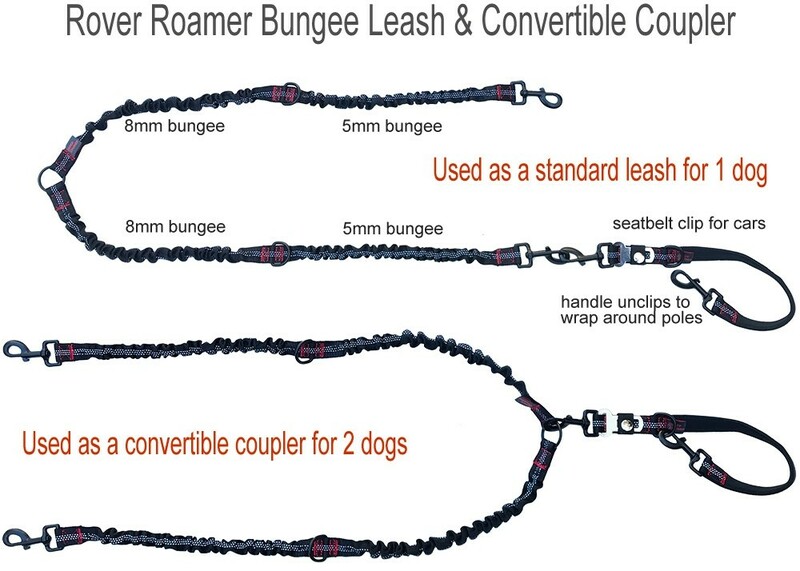 If you want to give your dog more lateral room, consider adding a bungee segment to the leash to lengthen it or choose the 6 ft retractable leash.